Teachers act as our contact and apply to have their class design a tile for one assigned element. Once assigned, it is up to the teacher to determine how the class will design their tile for that assigned element. It can be a contest, a bonus project or part of your study of the elements. Whichever approach is taken, the project should highlight the creative talent of young people in chemistry. The project celebrates 2019 as the International Year of the Periodic Table of Chemical Elements (IYPT 2019), which coincides with the 150th anniversary of Dmitry Mendeleev’s published periodic table in 1869. 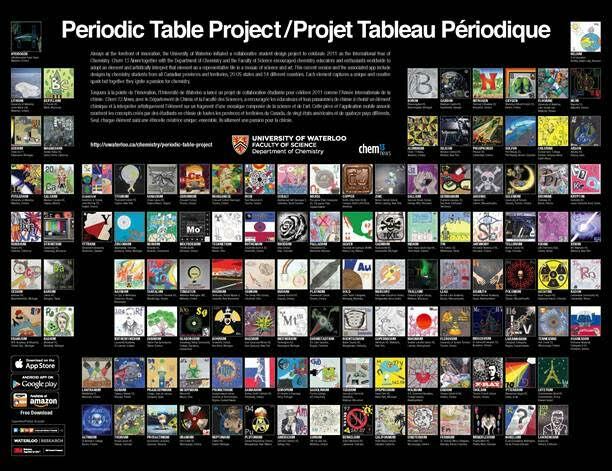 You may remember our 2011 Periodic Table Project (below), which produced a wall mural, free mobile app and classroom posters. This time we decided to take a different approach to the table and deconstruct it into the years the elements were discovered. 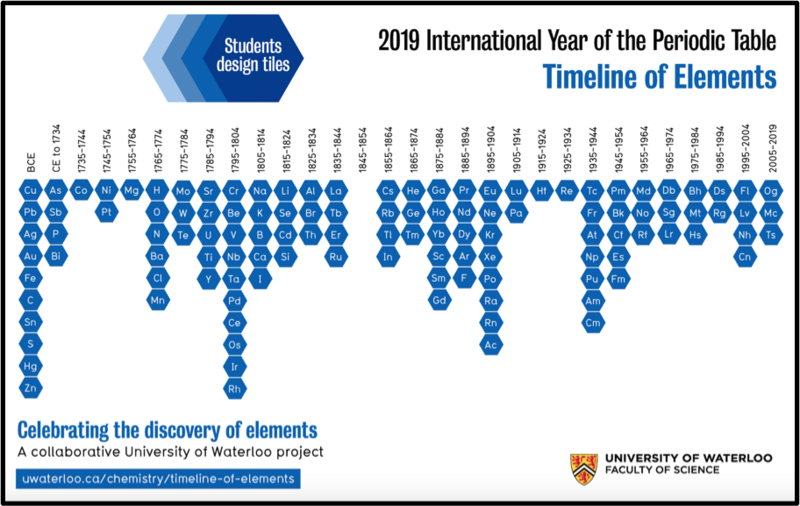 Our goal is to have chemistry students from around the world join together to create an original and imaginative version of the Timeline of Elements focused on their discovery. Simply apply for an element on our Timeline of Elements website — there is no cost to participate and the form will take 5 minutes to fill out! Our last project had all the elements taken in the first six weeks and we ran out of elements. This time we will be opening up the application process until August 7, 2018. If more than 118 schools apply, a lottery will determine participating schools. The actual artwork deadline for tiles will be March 15, 2019 (So second semester students can participate!) We will be tweeting all the submissions so follow us @Chem13News.